IALF is the IELTS specialist in Indonesia, with over 30 years’ experience preparing candidates to sit the IELTS test. To achieve the best possible IELTS result, you must understand the test and have effective test-taking strategies and techniques. The IALF Jakarta, Surabaya & Bali centres offer IELTS Preparation courses to meet your needs. Join an IELTS Tryout for an overview of the test, or sign up for the IELTS Indicator to gain real experience of the IELTS Speaking and Writing tests - and get feedback from IELTS experts. Join an IELTS Tryout for an overview of the test, or sign up for the IELTS Indicator to gain real experience of the IELTS Speaking and Writing tests – and get feedback from IELTS experts. Improve your chances of getting your target score by studying at IALF Jakarta! IALF Surabaya offers a range of IELTS Prep courses to assist you to get your target score. 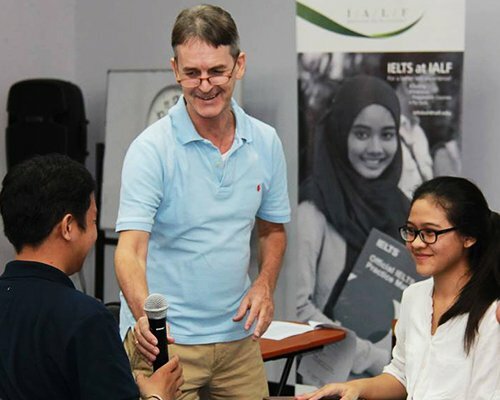 Improve your chances of getting your target score by taking an IELTS course at IALF Bali.